Nasa's plan to one day get us all onto the red planet has taken a leap closer to reality thanks to the Ferrari of jet engines. 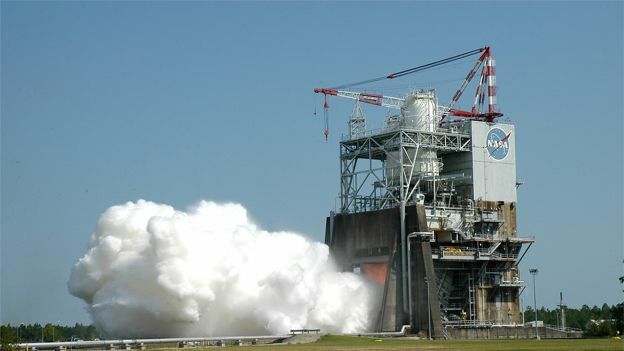 The RS-25 engine is designed for the Nasa Space Launch System rocket and underwent the test at 16:30 EDT on August 13 at the Stennis Space Centre in Mississippi. It will eventually blast humans off into space before reaching Mars. That's the plan anyway. "It is the most complicated rocket engine out there on the market, but that's because it's the Ferrari of rocket engines," said Kathryn Crowe, RS-25 propulsion engineer, according to Cnet. Nasa's 70-metric tonne Orion spacecraft needs a lot of power and it's coming from four of the RS-25 engines plus two solid rocket boosters made up of five segments each. The power produced is something to behold: 512,000lbs of thrust, which amounts to over 12 million horsepower. It's powered by four turbo pumps that each produce 100 horsepower per pound of weight and the main shaft rotates at 37,000rpm. As a way of comparison a car engine travelling at 60mph rotates at 3,000rpm. The latest test lasted nine minutes and is the sixth of seven such tests on the engine. The last test will see the four RS-25 engines that are part of the Orion craft fired simultaneously in order to fully simulate the launch.